Atlanta, GA. 21 June 2017 – This past Sunday, Tip “T.I.” Harris closed out his 39-city Hustle Gang Tour in his hometown of Atlanta during the annual Birthday Bash weekend. Held at the new Coca Cola Roxy Theatre, supporters from all over the country united for one night of music with the King of the South. This star-studded show headlined Tip alongside of his roster of Hustle Gang talent – Trae Tha Truth, B.o.B., Young Dro, Yung Booke, Tokyo Jetz, RaRa, Translee, London Jae, 5ive Mics and GFM Bryyce. Energy was already at an all-time high when Tip surprised the crowd with special guest performances by hip-hop star and ATL legend, 2Chainz, who performed hits like “Good Drank” and “Watch Out”. Tip also brought out breakthrough rap artist Kap G, who performed his smash hit “Girlfriend”. Tip closed the show out sincerely thanking the crowd for their countless years of support and bringing out on stage a final special guest attendee, Dave Chappelle, who made the fans go wild. T.I. 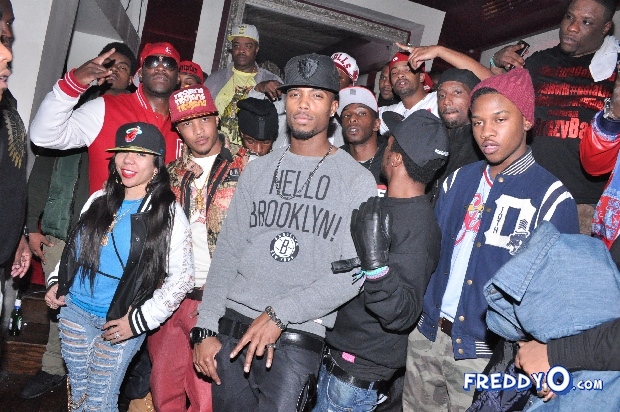 Working On Hustle Gang Reality Show, New Mixtape: Hustle Gang – G.D.O.D. It Â look like B.O.B. is settling in the music industry. How can I say this? Well, by seeing that he recently released his mixtape Epic and now the new visual titled How ‘Bout Dat. As you will see in the recent release below, B.O.B. has teamed up with Future and Trae Tha Truth for the new music video. Without further ado, let’s enjoy what B.O.B. has come up with. Did you enjoy it? Make sure you share it with your friends.